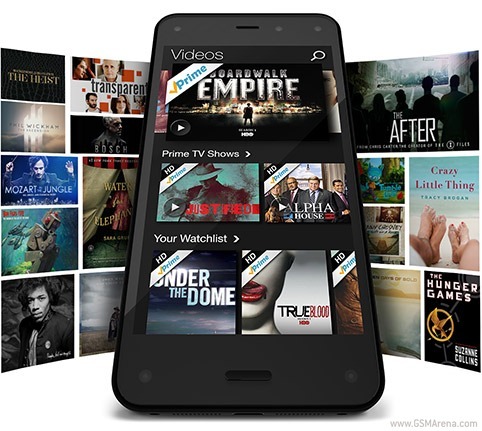 The Fire OS developed by Amazon and which runs on the company’s Fire Phone is based on Android, as you may know. Up until today, though, it was based on Android 4.2 Jelly Bean. But with a new update, it’s jumped to Android 4.4 KitKat. So while we’re still a long way from a Lollipop base, this is a big step forward. That detail however isn’t the only new thing that’s in this update – and, by the way, Fire OS still doesn’t come with any of Google’s services, so for most people the underlying Android version may not be that relevant. With Fire OS 4.6.1, the Fire Phone gets support for Bluetooth LE, and you can now change the wallpaper on the Home screen. Lock screen notifications have been improved, some messaging enhancements are in too, as are additional keyboard options and smarter calling ways. You can convert video clips into lenticular images and set HDR to Auto, choose different colors for calendar events, print from the Fire Phone, and take advantage of enhanced enterprise features. Accessibility improvements have been made as well, and there are also some unnamed bug fixes in there too as you’d expect. For the full details, make sure you go to the Source link. Amazon is currently selling the Fire Phone for just $189, and it still comes with a full year of free Amazon Prime. The handset was clearly not as successful as the mega-retailer would have wanted it to be, yet it’s good to see it’s not giving up on software updates for it.